Today I am heading into the realm of the fae to interview a most intriguing character. But first, a little bit about the book she’s from – a new novel from H.L. Burke, To Court a Queen. H e doesn’t want to get married, but he wants to be a frog even less. Knight errant, Devin, takes a shortcut through the woods, only to be captured by fairy forces. The fairy queen has run out of breathing males to fight for her hand, and Devin, while not ideal fairy stock, is breathing–for now. Telling a vain fairy queen you’d rather not be her one true love is a ticket to life on a lilypad, so the knight agrees to face three challenges to win Queen Agalea’s hand. When a clever servant girl offers to help him navigate the trials in order to stop the constant bloodshed of the courtship ritual, Devin jumps at the chance. However, as he balances “flirting” with his “beloved” and overcoming tasks specifically designed to kill him, he finds his heart drawn to his new partner in survival. I had the privilege of beta-reading this story, and it is such a fun tale! Like everything else I’ve read from this author, it was full of a delightful blend of heart and snark. I am eager to read the finished product. If this sounds up your alley, you’re in luck, because it released a few days ago! I open my eyes and find myself in a strange, and yet beautiful garden. As I gaze about I can see that various trees are inexplicably bearing both spring and summer fruit at the same time. Nearby a fountain burbles happily. A figure darts through the door of the small cottage before me and I follow. Inside, I clear my throat and the figure whirls to face me. The figure relaxes slightly, but her pointed ears twitch slightly, and now that my eyes have adjusted I can see the brown tufts of fur at their tips. She tilts her head to one side. “You’re not a fairy–human, right? How did you–Oh, nevermind. Look, I’ve got a bed to hide under, but if you can get out of here before the fairies get here, I’ll answer whatever questions you have … within reason.” Sevaine slides under the bed. “No worries. Watch out for the winged hounds on your way out. They don’t really like strangers.” Sevaine disappears under the bed for the last time. Ah, Sevaine. She’s a really neat character and I hope you enjoyed meeting her today as much as I enjoyed interviewing her. And if you like Han Solo even a little bit, you’re sure to love Devin, the other protagonist of this book! H. L. Burke is the author of multiple fantasy novels including the Dragon and the Scholar saga and The Nyssa Glass YA Steampunk series and Coiled. She is an admirer of the whimsical, a follower of the Light, and a believer in happily ever after. Stalk H.L. Burke around the interwebs – it’s easy to gain her favor, just bring Psych gifs and cat pictures! READER GROUP if you want to be the first to hear about beta and ARC reading opportunities as well as my day to day struggles and weekly live videos. Hello there, dear Reader! How are you doing? I’ve… been better. I wish I could get outside more and enjoy the nearly FOUR FEET of snow that has accumulated out there over the month of February (February really IS fantasy month here in the frozen tundra-land, apparently!) this is the sort of winter I dreamed of and prayed for as a kid. Sadly, the past couple of days I’ve spent feeling kinda crummy with a really obnoxious head-cold. (I did get to go outside last night and slide down some 8-10-foot drifts, and yesterday afternoon we spent a couple of hours trying to help a neighbor dig themselves out of the spot where they’d gotten stuck on the road outside our apartment). But still… I want to go sledding! Anyway, I was feeling so rough, that I actually almost forgot all about the read along! So sorry! That is why this post is a wee bit late! I’m sorry if the wedding was a bit rushed. I didn’t have a whole lot of experience with weddings back when I wrote this book, or romance in general… but hey, at least I included a glimpse of the day! If that doesn’t resonate with the introverts amongst us, I don’t know what will. I also love that somehow nobody bothered to tell Brant that Zara was Scelwhyn’s daughter until now. It’s like the other characters have grown accustomed to him just knowing things without being told. Or something. But even Brant can be surprised. And most surprising of all is how seeing the joy and happiness of his adopted brother has suddenly caused the allure of the open road to wane. I don’t normally time-hop at a segue, I prefer to let chapter breaks do that kind of work, but sometimes the story calls for things and we just have to run with it. So this segue jumps forward in time 5 years… Brant has been on the roads basically being medieval-Batman, because he’s cool like that. But the world has not stopped turning, and a young prince and princess are born on the same day! One to Arnaud and Zara, and the other far away back in Llycaelon to Seamas and Llewana. In the realm of those who have and understand magic, some sort of ripple is felt, and Dylanna determines to hide her true identity in favor of watching over her niece while she grows up. If there was one thing I knew from the very beginning of this story, it was who Brant was going to end up with. Who he had to end up with. However, I didn’t know exactly who Imojean was, or how they met, or anything else about her… and when she wasn’t Calla… I was honestly extremely surprised. But then I met her and everything made sense. This scene remains one of the most fun scenes I’ve ever written. It made me laugh when I wrote it, and it still makes me chuckle every time I read it. I don’t mean to make Brant’s life miserable… and I don’t mean to put him through such awkward situations… but, oh dear! He makes it so easy. 1. Are you the type of person who loves parties and hanging out with lots of people? Or are you more like Brant, ready to leave after about 8 minutes? 2. I’m dying to know if anything in this chapter made you laugh? Or do I just have a super weird sense of humor? Hi-ho, hi-ho it’s back to the story we go… lalalalalalalalalala… oh, um… sorry about that. It’s been a SUPER long week and I’m just feeling a little loopy and so glad it’s Friday!! But let’s get back into the story and see what there is to see. Not that this squire was exactly trying to be sneaky. In his defense, he was making rather a lot of noise, but Brant’s nerves are a bit on edge, so… let’s forgive him for overreacting a bit. Ooooh, intrigue… this young squire’s name is Justan! That won’t mean anything to those of you starting with this book, but you might want to file it away in case you continue on to read the rest of the series! And his message galvanizes Brant into immediate action, which is very Brant-like of him. Our King’s Warrior is not one to go around resting on his laurels. Meanwhile, Arnaud’s burst of heroic inspiration has begun to fade as the battle rages on, the light of day is fading (and with it their one advantage over the seheowks who don’t particularly love light of any kind) and the knights are growing weary. But Arnaud clings firmly to the belief that his adopted brother will arrive and somehow turn the tide of this losing battle. A faith that is swiftly rewarded. I love how Brant just kind of rides up and acts as though someone rang a bell for him to deliver dinner. Battle scenes are not easy to write, though I’d like to think I’ve gotten better at it over the years. This one has a bit of a surprise ending, which is good, because I wasn’t entirely certain how they were going to get out of this mess… and in the original draft something very different happened… but my editors and I decided that Justan could have a moment of importance here and it would work out well for everyone. Today I am going to talk about my favorite fantasy sub-genre and share some recommendations with you. Well, it’s a little complicated. See, I would generally say that my favorite fantasy sub-genre is “Epic.” But I feel like I talk about that one a lot already and have given a lot of recommendations for books that fall into that category over the years and even over the past month. So. My SECOND favorite fantasy sub-genre is…. I know this all sort of falls under a single sub-genre, but I’m going to split it apart a little bit. You see, there are “fairy tale retellings” and then there are “original fairy tale” style stories. They have the same feel, but I still think they could technically be separated into two distinct categories. (Little-known random fact about me, I really like precision when it comes to categorizing things). The world of fairy tales is a rich one full of wonder and magic and important themes on courage and perseverance and kindness. I’ve always loved fairy tales. We had numerous books full of fairy tales growing up, and I loved flipping through those books and finding my favorites and reading them over and over. I’m not an expert on fairy tales, nor have I read all of them by any stretch of the imagination, but I have read quite a few. I love fairy tales because they capture the imagination. They have very few rules. Magic beans that grow into a giant beanstalk and lead the protagonist to a magical realm of giants in the clouds? Sure! True love’s kiss defeats literally everything? Check! Fairy godmothers? Why not? Talking animals? Definitely! Any mundane item might be magical? Yep! Fairy tales capture the true essence of childlike imagination and whimsy. But they don’t shy away from danger, either. Many original fairy tales are very dark and more than a little grim. Often there are terrible consequences for the villains: being made to dance in red hot shoes until they fall down dead, being put in a barrel with nails driven through it and dragged behind horses the length of the town, stepsisters who cut their own toes off in order to squeeze their feet into the glass slipper, and the list goes on and on. And these are stories for children, you ask with a horrified grimace. 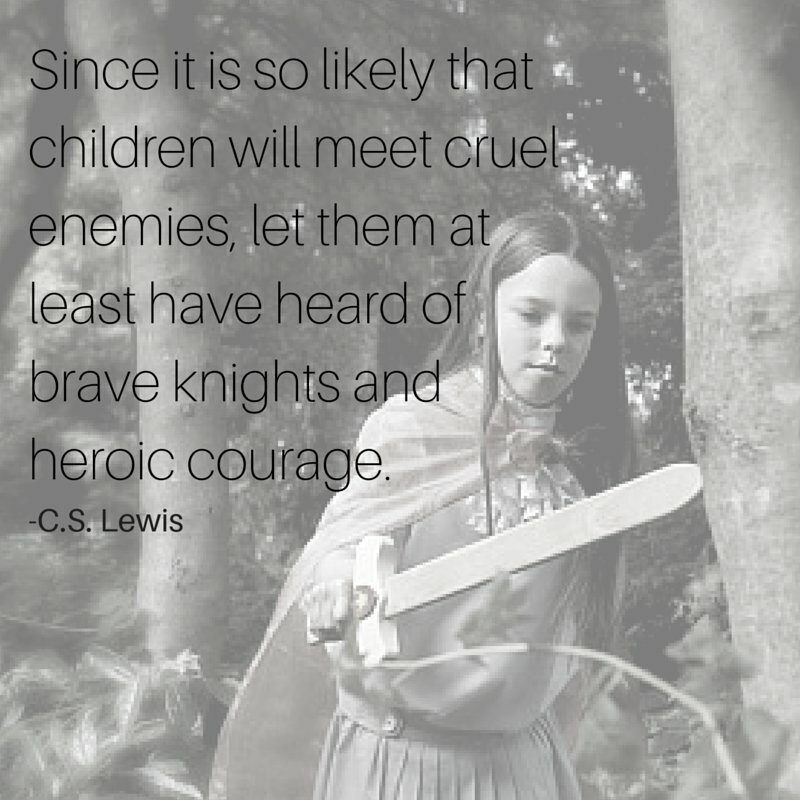 … Since it is so likely that [children] will meet cruel enemies, let them at least have heard of brave knights and heroic courage. Otherwise you are making their destiny not brighter but darker. Nor do most of us find that violence and bloodshed, in a story, produce any haunting dread in the minds of children. As far as that goes, I side impenitently with the human race against the modern reformer. Let there be wicked kings and beheadings, battles and dungeons, giants and dragons, and let villains be soundly killed at the end the book. … It would be nice if no little boy in bed, hearing, or thinking he hears, a sound, were ever at all frightened. But if he is going to be frightened, I think it better that he should think of giants and dragons than merely of burglars. And I think St. George, or any bright champion in armour, is a better comfort than the idea of the police. So what is the difference between a fairy tale retelling and an original fairy tale? A retelling starts on the premise of a fairy tale that already exists. It may expand and expound the story, it may twist and turn the story, it may even combine multiple fairy tales into a single story, but at its very core, its most pure essence, it can still be identified by the fairy tale(s) upon which it is based. Quite a few animated Disney movies are fairy tale retellings that are so popular, people forget that they aren’t the originals. An original fairy tale is a story that feels like a fairy tale, sounds like a fairy tale, has all the earmarks of a fairy tale, may even tip its hat to various fairy tales by referencing them within the story… but ultimately is not based on any particular fairy tale. These can be a bit harder to find or spot in the wild, but they do exist. So, now that you know the difference, let me point you to a few of my favorites from each of these categories! Beauty by Robin McKinley – a lovely retelling of Beauty and the Beast that I talked about earlier this month. Spindle’s End by Robin McKinley – is an enchanting version of Sleeping Beauty that I love. However, the one problem I have with Robin McKinley is that I always find the epic climaxes of her story a bit difficult to follow… and Spindle’s End is even more convoluted than her others. The Bookania Quests by Kendra E. Ardnek. Ms. Ardnek is a very talented weaver of fairy tales, knitting them together seamlessly into a comprehensive whole that is more than the sum of its parts. The sheer number of fairy tales she has already managed to combine in this series is impressive, and I hear she has many more planned for the future. I highly enjoy these books and definitely recommend them. The “Five Anthologies” put out by Rooglewood Press: Five Glass Slippers/Five Enchanted Roses/Five Magic Spindles/Five Poisoned Apples (though I technically haven’t read the stories in Apples yet). All of these are beautiful retellings of various fairy tales (and I’m not just saying that because my story was published in “Roses” either!) each collection seems to do a good job of having something for everyone. You may not love ALL the stories in every collection, but you’re sure to find one to love in each of them. Blood in the Snow by Sarah Pennington. I reviewed this one last year and it remains one of my all-time favorite Snow White retellings. Possibly because she so seamlessly worked it together with the Goose Girl, which is one of my favorite fairy tales. Speaking of the Goose Girl, Shannon Hale is an author who has written quite a few fairy tale retellings. “The Goose Girl” is the first in her series and is a beautiful retelling of the fairy tale with the same name. Gail Carson Levine has written several anthologies of short fairy tale retellings. “The Princess Tales” Volumes 1 and 2 contain three retellings each of a few of the lesser-well-known fairy tales and are very entertaining. The Firethorn Crown by Lea Doue is another beautiful retelling of the 12 Dancing Princesses that I love and discovered recently. Sort of on the raggedy edge between the “retelling” and “original” category are the Beaumont and Beasley series by Kyle Robert Shultz. These are hysterical mashups of many beloved fairy tales, but the main plot follows private investigator Nick Beasley as he tries to remove the curse that turned him into a beast. His adventures lead him through a lot of familiar stories, but the plots of the books are very much their own adventures, so this one kind of stands in a strange “gray area” between the two categories! The Light Princess by George MacDonald is one of my all-time favorite original fairy tales. In it he tells a story about a princess who is cursed by a fairy at her christening (see the fairy tale element?) with a lack of gravity. He then plays on this word’s double-meaning and the princess grows up incapable of tears and is always laughing and silly… but she also floats and has to weight herself down with rocks and various things. I won’t spoil the ending for you, but oh! If you haven’t read this one I recommend you go find a copy RIGHT NOW because you’re missing out! Ella Enchanted by Gail Carson Levine is a classic original about a young girl also cursed by a fairy… this time with “obedience.” It is a beautiful story and one I’ve enjoyed many times, and now my daughters have discovered it and fallen in love with it, as well. Dealing With Dragons by Patricia C. Wrede is another favorite of mine… this one is lighthearted and has the whimsy of fairy tales, but also thumbs its nose at them in a gentle sort of way, mocking the various shortcomings that characters in fairy tales tend to have. Many recognizable fairy tales are mentioned and turned on their heads (the princess who can’t get a suitor so her aunt hires a fairy godmother to make her a pair of glass slippers, but the princess breaks them. To which her friend wisely says, “Well, yes, but glass slippers are all well and good for deserving merchants’ daughters, not princesses!” or the strange dwarven fellow who keeps ending up with royal children being left on his doorstep because the princesses can NEVER correctly guess his name and now he’s overrun with children and is tired of being taken advantage of as a royal daycare… you get the idea) but the actual PLOT of the book follows its own course and is not based on any particular fairy tale. The Tales of Goldstone Wood by Anne Elisabeth Stengl are a more grown-up version of original fairy tales. These stories deal more with the fae sort of fairies than the fairy-godmother sort, but they are still very much written in the fairy tale tradition and have that magical feel of two worlds existing side by side: the seen and the powerful unseen. To Court a Queen by H.L. Burke is another one that I just recently got a chance to beta read and it was super cute and fun… and bonus, it just released a couple of days ago! I’m going to have one of her characters over for an interview next week, so keep an eye out for that. My own Destined for Greatness is another in this category (hehe CATegory… hehe). It’s a little silly, references a couple of different fairy tales, but in the end, it is completely its own story, about a young man who dreams of being more than he is, but Fate doesn’t seem to agree… or does it? Speaking of which, I just released this little cutie to the world and you can get it for free now on Amazon!